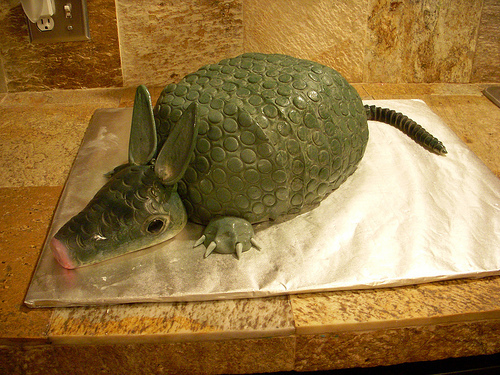 This armadillo cake is filled with red velvet cake, making it even more gory and delicious! Definitely passing this on to my cousin!! She does crazy cakes, but this is amazing!